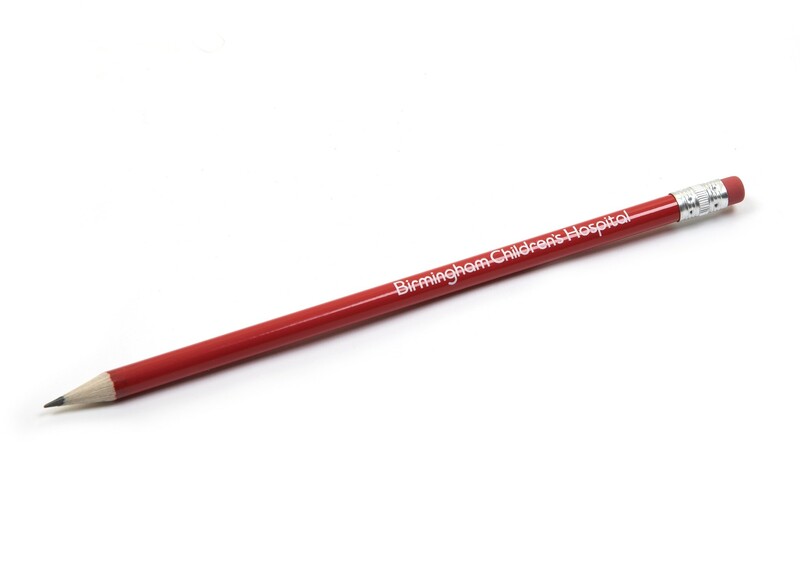 Birmingham Children's Hospital branded wooden pencil with rubber. 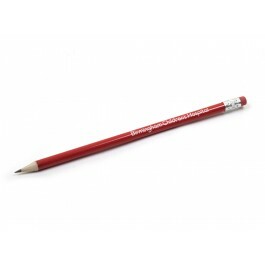 Red pencil with black rubber. 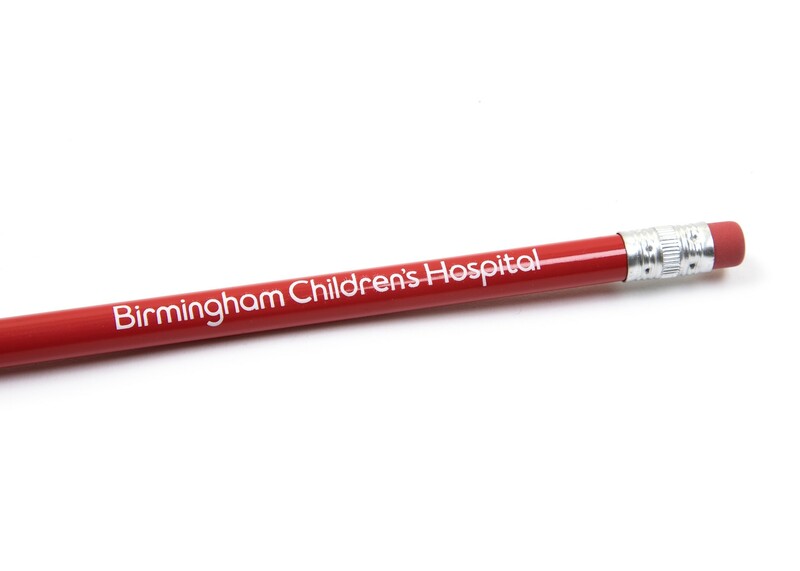 Length 19cm.